Merve Gokce Kurtoglu is originally from Mersin, Turkey. She graduated from Istanbul Technical University (ITU) and Montana State University in 2015 with a dual diploma Bachelor of Science program in Bioengineering. She studied on biofertilizer formation by nitrogen-fixing cyanobacteria on her senior design project at MSU. After graduation, she began to Master of Science degree of Nanoscience & Nanoengineering program at ITU. She experienced with microfluidic fabrication especially microdroplet formation techniques in the cleanroom of Micro Electro-Mechanical Systems (MEMS) Laboratory at ITU. In 2016, She began to work as a Research Engineer at Optical Microsystems Laboratory (OML) at Koc University. She worked on a portable blood coagulation measurement system with a single-use optical sensor until 2018 summer. 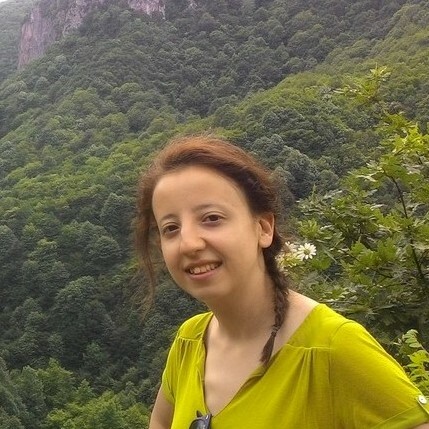 Merve is now a Ph.D. student in Intelligent Systems Engineering at Indiana University Bloomington, specializing in molecular and nanoscale engineering. She works as an Assistant Instructor and a part of the FAMES research group. Her interest is to formalize special bioinks for 3D bioprinting method to develop successful tissue growth.